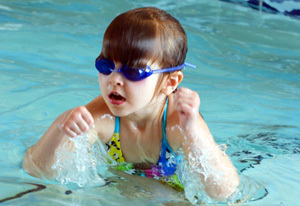 All children have a half hour swim lesson every day they are in school. We have our own indoor pool and swim year round. We keep the pool at 90 degrees so it is very comfortable. The student/teacher ratio in the pool is 5:1. Swimming is an important aspect of our program. 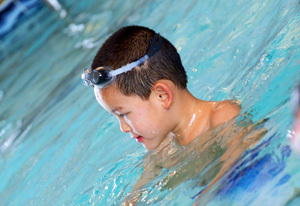 Proficiency in the pool is a lifelong skill which not only provides a wonderful tool for fun, but also teaches the importance of safety around water. Children just being introduced to the water, start with a lot of one on one work with their teacher. They learn to blow bubbles, float on their back, kick their feet etc. Many parents are impressed with how quickly their children learn. 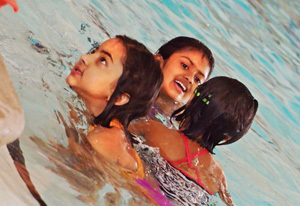 Parents are always welcome to observe swimming. 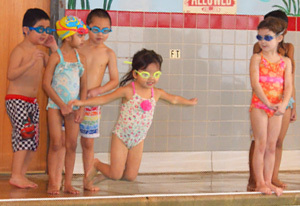 Every year in the spring we run a "Water Safety Week", where the children learn basic water safety skills. For example - what to do if they fall in the water with their clothes on. Or how it feels to swim in a life jacket. The physical outlet a child experiences in the water provides mental grounding so a child is ready to work and focus in the classroom. Swimming is a core part of the program, and is not optional. Our teachers are certified through the American Red Cross. 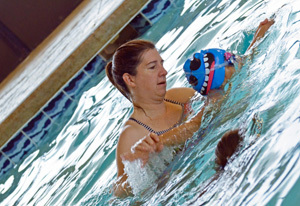 Our head teacher (Miss Stacie) is a Water Safety Instructor and is responsible for training/certifying our swim staff. 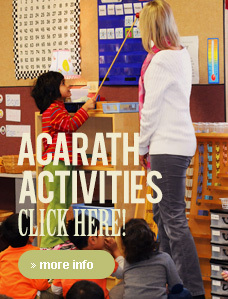 This is beneficial because we are able to customize our program. 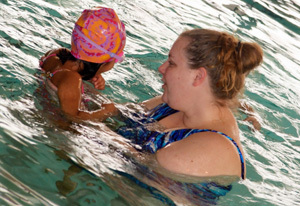 Miss Stacie also offers adult swim classes weekday evenings to interested parents.